A Dragon Ball fan’s greatest dream is getting to live in the Dragon Ball universe and fight alongside Goku and his friends! 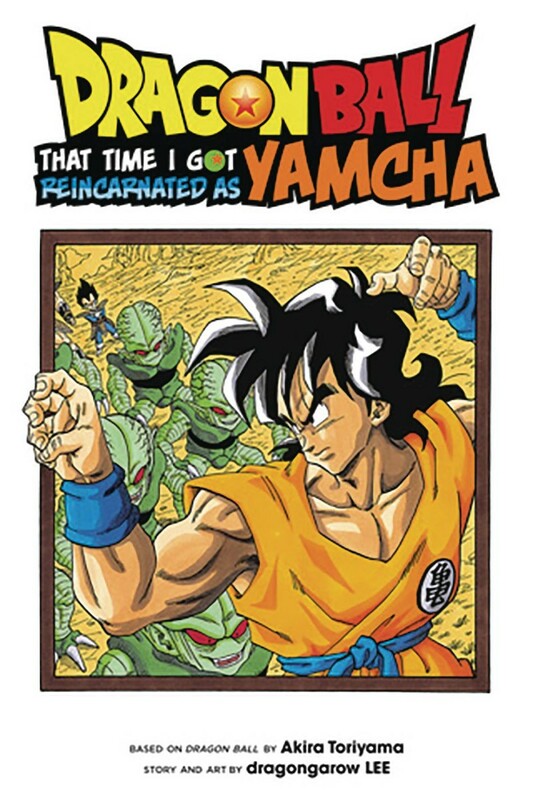 But one particular fan is in for a rude awakening when he suddenly dies and gets reincarnated as everyone’s favorite punching bag, Yamcha! Dragon Ball: That Time I Got Reincarnated as Yamcha! is a single volume comedic spin-off of the legendary Dragon Ball that parodies the clich? of being reborn into a fantasy world. As a story told from the perspective of a fan navigating the world of Dragon Ball, it is a must read for both casual and die-hard fans of the anime and manga.